Xi Jinping, the leader of the Chinese Communist Party, has announced a series of measures to clip the wings of a key Party fixture: the Communist Youth League. On Aug. 2, state mouthpiece Xinhua announced that the Youth League would undergo a “comprehensive reform” to trim its leadership ranks and refresh its lower rungs. The Party organization will also be rededicated to serving the “grassroots” and China’s youths. “Reducing the top and restocking the bottom is the way to go,” said Zhu Lijia, a scholar of philosophy and the director of the discipline inspection branch of Beijing’s Chinese Academy of Governance, to the semi-official Beijing News. The development comes in a long line of similar moves that touch on aspects of the Communist Party’s organization and internal discipline. The final purpose of all these actions has not been stated by Xi Jinping—but there is the possibility that part of the aim is to pave the way and create a precedent for broader political restructuring, should the need arise. “As a social organization, the Communist Youth League Central Committee should focus its core work on those below and not at the top,” said Zhu Lijia, the official. He cited the All-China Federation of Trade Unions and the All-China Women’s Federation—two lesser political entities in the Chinese regime—as examples of social organizations. For nearly half a century, the Youth League has produced the cream of the Party’s elite. Former Party leaders Hu Yaobang, Zhao Ziyang, and Hu Jintao, as well as incumbent leader Xi Jinping and premier Li Keqiang, were all ex-Youth League cadres. But Xi Jinping has recently criticized the Youth League and sought to limit cadre participation. In February, Xi said the League was “bureaucratic, procedurally minded, aristocratic and entertainment-oriented.” China Youth Daily, the Youth League’s official publication, announced in March that its Shanghai branch had streamlined operations and thinned its ranks. 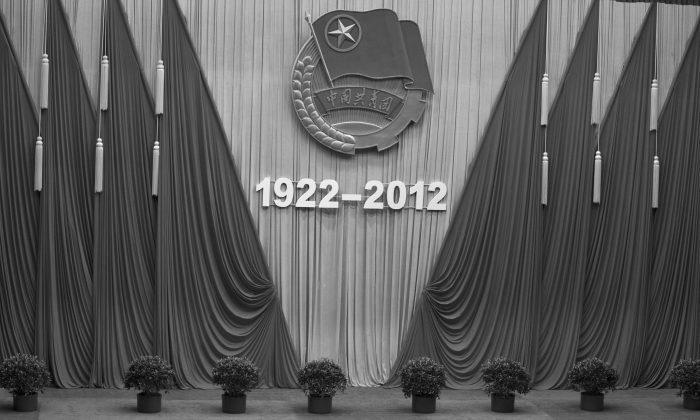 In April, Bloomberg reported that the China Youth University of Political Studies, the Youth League’s university, may stop accepting undergraduates. Some analysts say that Xi Jinping is acting against the Youth League to weaken the influence of the so-called Youth League Faction, or “tuanpai.” Members of this purported clique include top Party cadres like premier Li Keqiang. They are believed to owe their loyalties to former Party chief Hu Jintao, a prominent Youth League alumni and supposed head of the tuanpai, because Hu oversaw their promotion. In the scenario where the tuanpai isn’t a political force, there is a chance that Xi Jinping’s reorganization of the Communist Youth League is part of a larger agenda. The reorganization of the Youth League could serve as a test run for a systemic overhaul of the Party itself, given very similar structure of the two. Xi has two advantages in tweaking the Youth League first—he faces less resistance from rival political factions, and a successful reorganization proves that an overhaul of the ossified Party will work. Chinese scholars have been talking up systemic reform in the mainland and overseas Chinese press in recent months. Wang Yukai, the vice president of China Society of Administrative Reform, a Chinese think-tank, told Chinese language media outlets in Singapore and Hong Kong earlier this year that the Party could learn from the political system of Singapore, and even adopt a “Singapore model” of administration. Meanwhile, respected Chinese financial magazine Caixin carried a piece by Yu Keping, formerly a member of a think-tank in service of Hu Jintao, about how the Chinese regime could learn from the democratic reforms of former Soviet leader Mikhail Gorbachev. The publication of Yu’s piece is significant because mainstream media on the mainland usually criticize Gorbachev’s reforms for causing the disintegration of the Soviet Union. Prominent Hong Kong magazine Asia Weekly (Yazhou Zhoukan) reported in May that Xi Jinping intends to dissolve the Politburo Standing Committee at an important political conclave in 2017. It is difficult to say definitively what all these gestures mean—but it seems clear that precedents are being set, messages are being subtly delivered, and that observers should be ready for more sudden, and larger scale, changes should the circumstances demand them. Xie Dongyan contributed to this article.